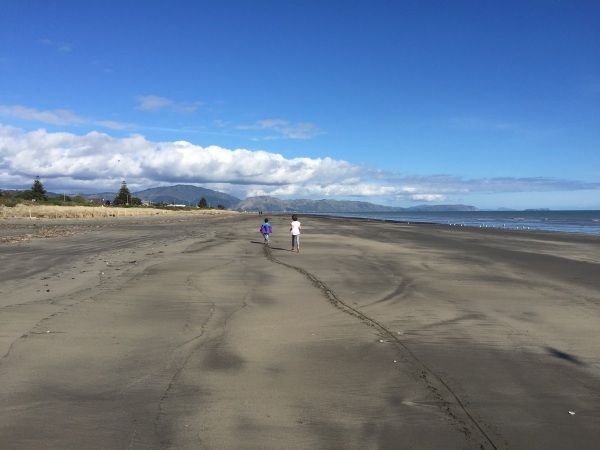 I adore the Kapiti Coast, but don’t often go there enough – even though it’s less than an hour’s drive from where we live in Wellington, New Zealand. 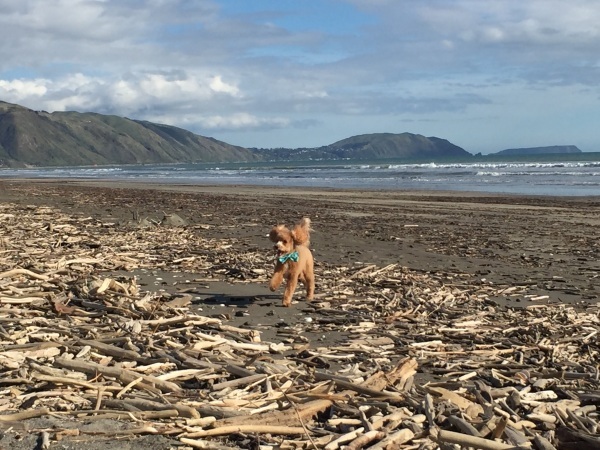 When our fabulous dog groomer stopped working at a business in Wellington, to set up her own business – Raumati Stylez Dog Grooming Salon – from her home in Raumati, on the Kapiti Coast, I was actually delighted. I had a reason to drive up the coast, every eight weeks, for my dog to have a groom! Meanwhile, I enjoy the stunning scenery, beaches, walks and cafes (and my children enjoy the playgrounds!). Kapiti beach and Kapiti Island, from Raumati. 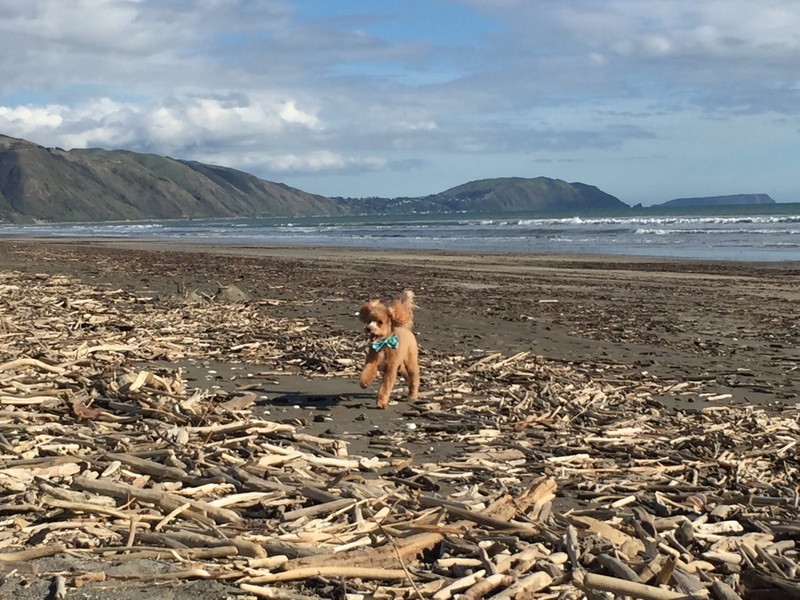 Last week I was excited to see the weather forecast was looking amazing for a visit up the coast and packed up our dog and two children for the drive to Raumati. After breakfast, and my six year old inventing her own ‘Groom Bot 2000’, we set off. 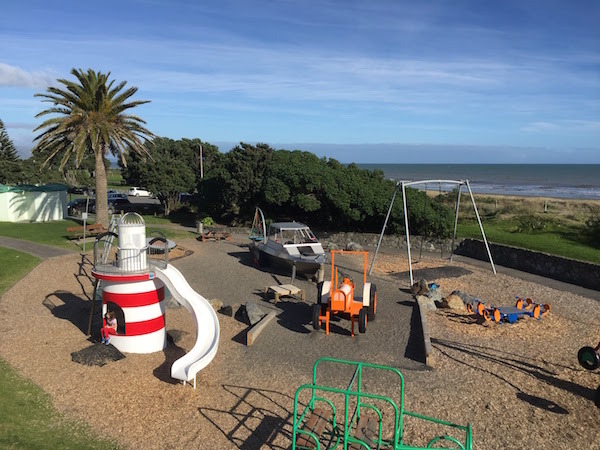 There’s a couple of lovely playgrounds in Raumati, including the wonderful Marine Gardens (full information and photos on this link), which I’d visited on another visit – still mid-winter, but we were blessed with sunshine. 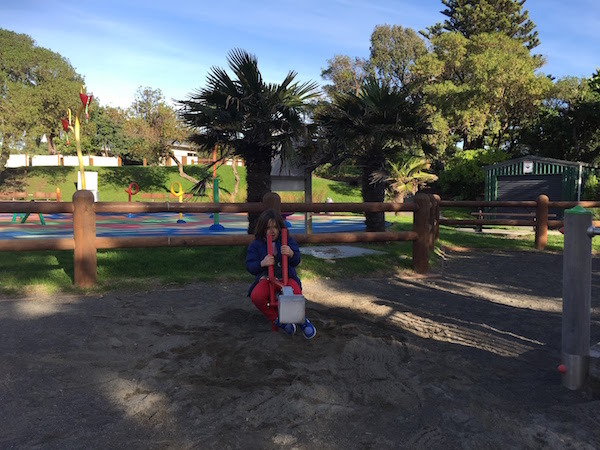 It has a lovely sandy dig and play area, a flying fox, a wet water mat, spray play zone and so much more. 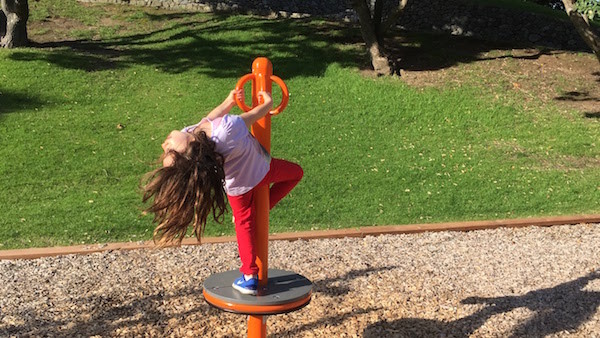 My youngest just loves to get dizzy! The one on the main beach front parade has a skate boarding park. 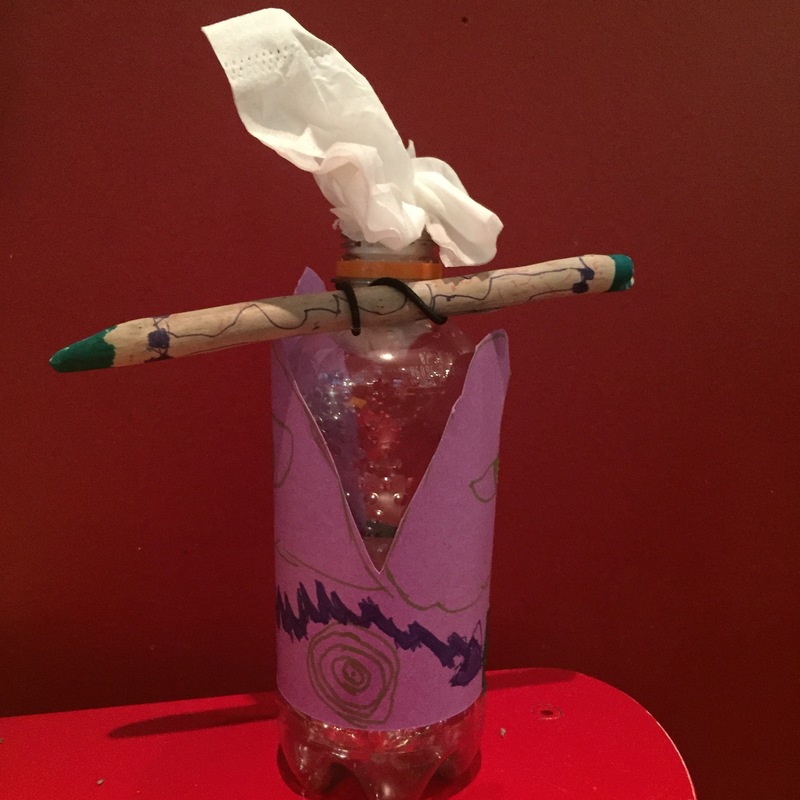 The playground is located adjacent to the beach and opposite a parade of shops and cafes. 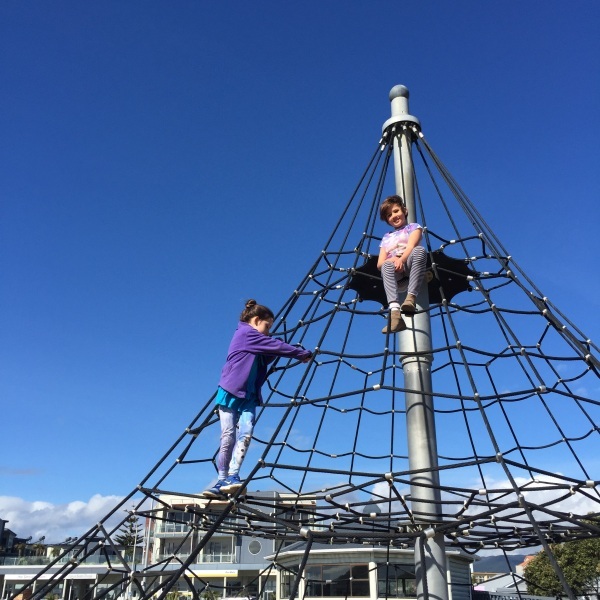 Climbing at the Raumati playground. 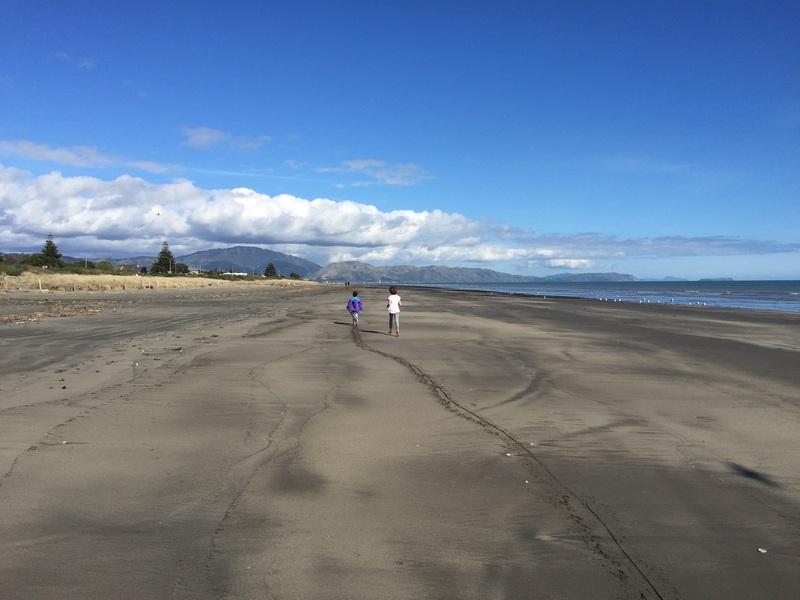 The beach itself is a dream, leading for miles along the coastline and begging to be ran on. 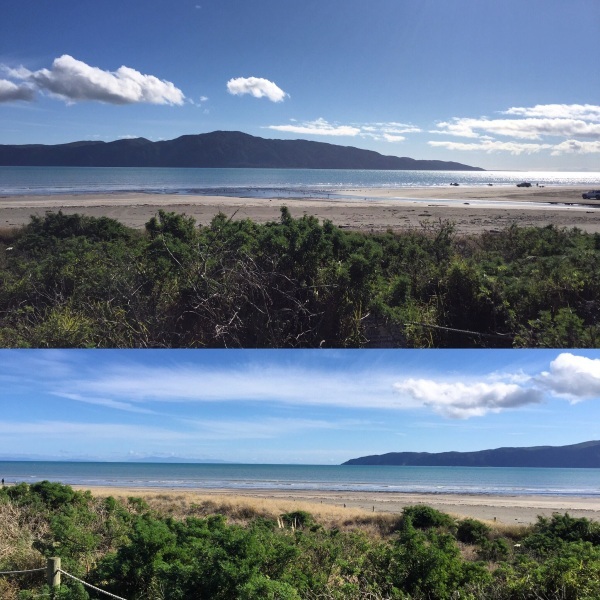 Kapiti beach, begging to be ran and played on. There’s always a large collection of driftwood sticks, shells and pumice rocks. 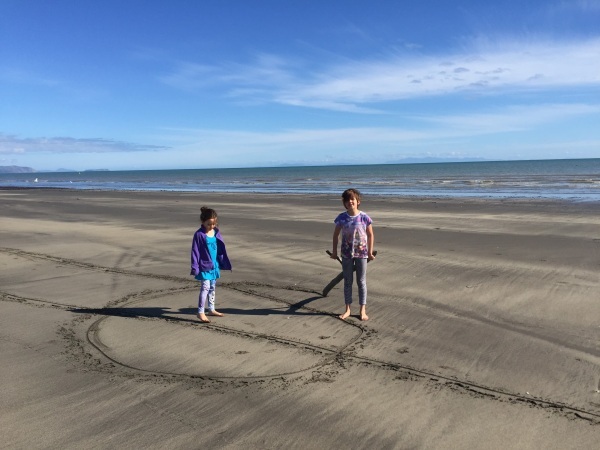 My girls found a huge piece of driftwood that they dragged along the beach making waving lines, as though they were ploughing the beach (perhaps I should get them to use the stick on a fertile section of my garden to plant some vegetables!). Alice and Sophie with a large piece of driftwood. 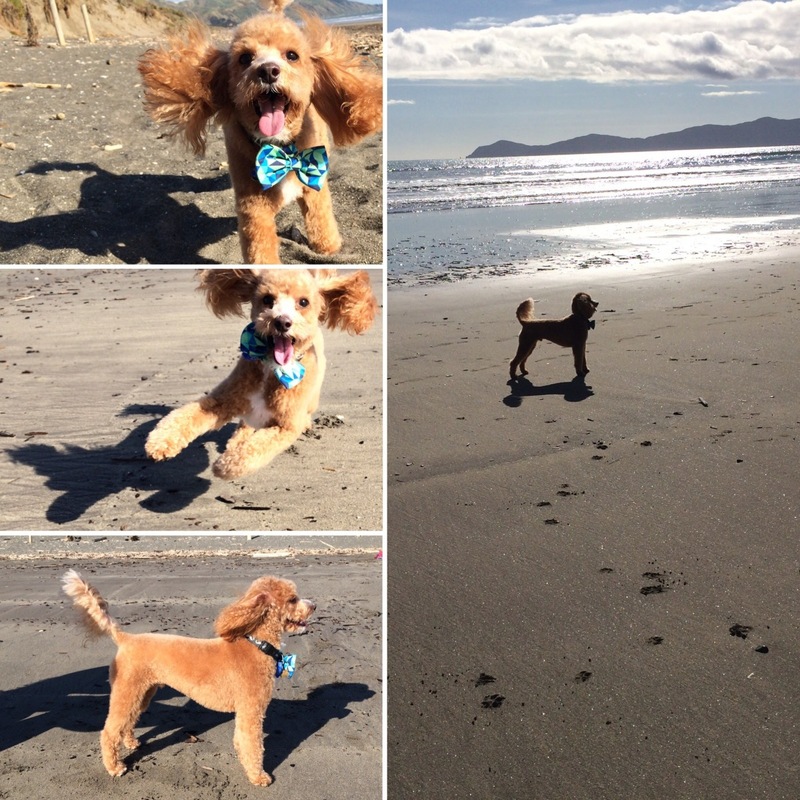 When we picked up our dog from the groomers we treated him to a post groom frolic on the beach. Cocoa looking very handsome after his groom. He was spoilt for choice with the array of driftwood sticks on the beach at Queen Elizabeth Park! 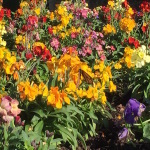 A wonderful place to visit, with so many walks and adventures to enjoy. 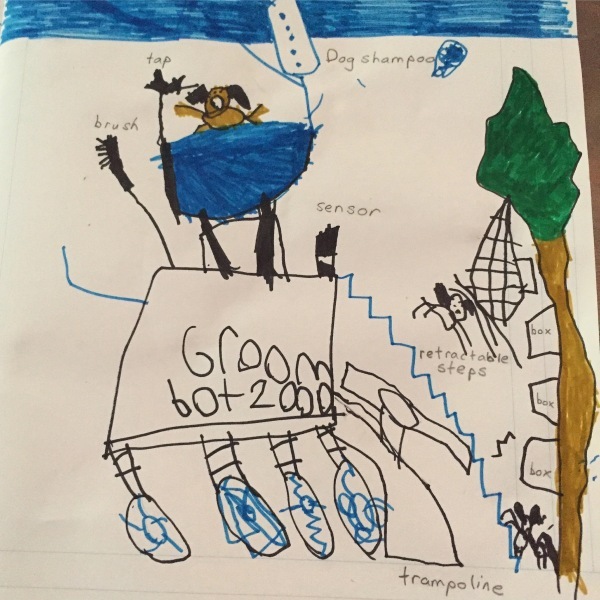 I’m looking forward to our next visit already. 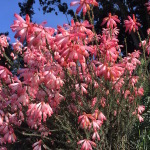 It’s a place where even winter days can fool you, for an hour or two, into thinking it is spring (certainly the nature in the Marine Gardens looked like something from a spring day!). 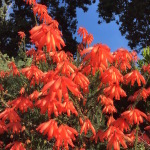 And finally, a ‘vlog’ from my Miss 10 (who rarely stops talking!)! 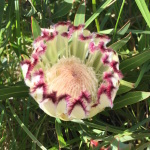 And for more blog posts on visits and holidays on the Kapiti Coast visit this section of my blog. Happy beach days! 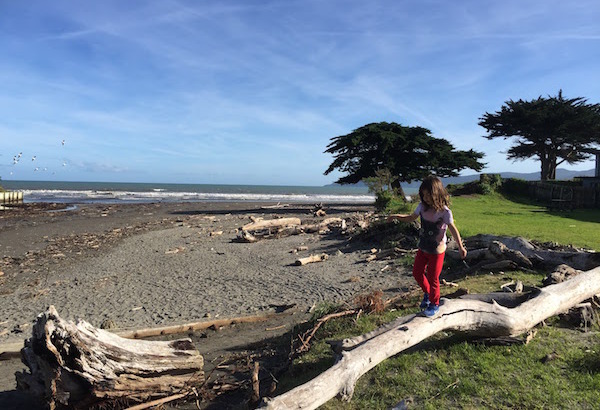 Country Kids, Header, Life in action - Videos beach, Country Kids, dog, Kapiti Coast. permalink.